This elegant room has a picturesque Victorian lantern roof flooding the entrance with natural daylight. 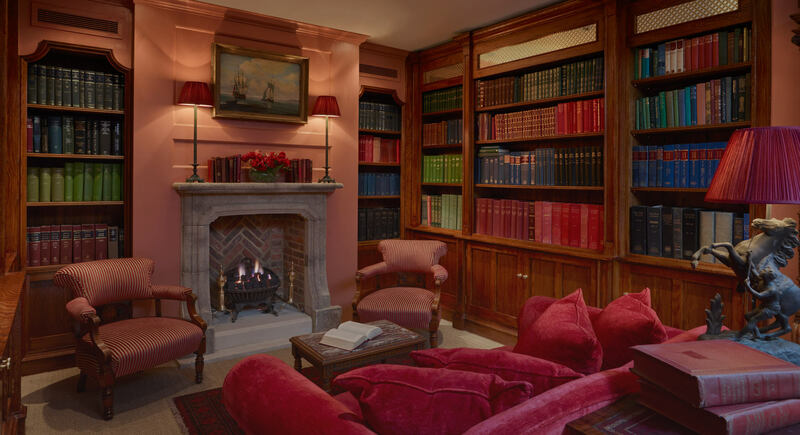 The opposite end is laid out as an intimate, fully fitted and well stocked library featuring a period stone working fireplace, polished oak shelving and an ornate room divider. The entire space is air conditioned, with complimentary Wi-Fi access, and is furnished with comfortable sofas and chairs as well as an antique table seating six to eight.